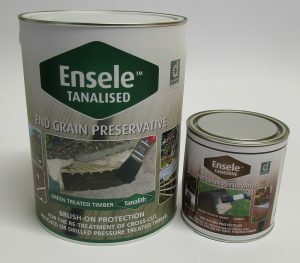 ENSELE products are tried, tested and proven end grain preservatives for use with either high or low pressure preservative treated timbers. ENSELE TANALISED and ENSELE TANATONE are designed for use with high pressure treated timbers. 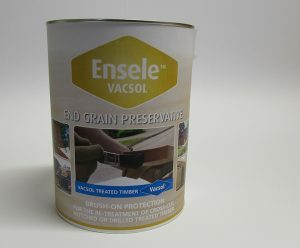 ENSELE VACSOL is designed for use with low pressure treated timbers.